For the 33rd release on Praveen Achary's 'Juicebox Music' imprint, we welcome the incredible Danny Oliveira from São Paulo (Brazil), through his DNYO moniker. Danny's decade-old musical achievements can be considered as dreams for others, whether it's remixing Marco V's "First Light" back in 2006, signing on Anjunadeep and Fraction Records under Danny Loko, to birthing his DNYO project through Burn Energy Drink and Sasha's "Cut Me Down" remix competition where he placed 2nd amongst a list of 2 thousand entries, earning an official release on Last Night On Earth as well. DNYO's unique sound earned him a long-lasting relationship with the Canadian imprint - microCastle, as well as other releases on equally big labels, drove his name up the charts and into DJ playlists, with an added bonus of having been remixed by legendary producers like - Barry Jamieson, Charlie May, Andre Sobota, Jamie Stevens, Marc Marzenit, Guy Mantzur, Max Cooper, Cid Inc and more. More recently, Quivver's album 'Rekonstruct', which hit #1 on Beatport on multiple genre pages, featured a special edit on DNYO's "Reaction" by John Graham himself. Danny's wild sound design capabilities and incredible attention to detail in his productions are a foundation of his uniqueness, match that with great musicality and there's the reason he's considered as one of the most forward-thinking producers out there. DNYO presents "Flare" and "Children", two tracks in his EP on Juicebox Music, to exemplify that stature. "Flare" features an ever-evolving arpeggiated riff, spurts of lead tones, an aggressive drone bassline and crisp drums that make up the meat of the track. Hints of vocal bits come in and out at the right moments, especially during the breakdown where you know there's something magical about everything together. We'd dare call it - future prog? We've gone ahead and included a 'Beatless Mix' of "Flare" as well. "Children", on the other hand, brings his darker side out with heavy drums, chunky and acidized low-end, moody chord progressions and ominous leads, meant for the dark rooms. To add a bit more fuel to the fire, we invited the one and only - Petar Dundov. Hailing from Croatia and highly revered as one of the finest producers in the game, Petar's slow burning style, with complex melodies and hypnotic grooves, has transcended the definition of 'genres'. Regardless of the intensity, his productions have been on nearly every type of DJ's sets, which lead to his releases on a variety of well-established labels like John Digweed's 'Bedrock Records', Sasha's 'Last Night on Earth', Sven Väth's 'Cocoon Recordings', Hernan Cattaneo's 'Sudbeat' and Dave Seaman and Steve Parry's 'Selador'. Apart from his powerful solo work, he's also regularly collaborated with Marc Romboy and Gregor Tresher, as well as Henry Saiz for his Balance series album. His 2012 album 'Ideas from The Pond' on Music Man Records is now considered as a future classic, especially the incredible 12 minute voyage in it - "Distant Shores". 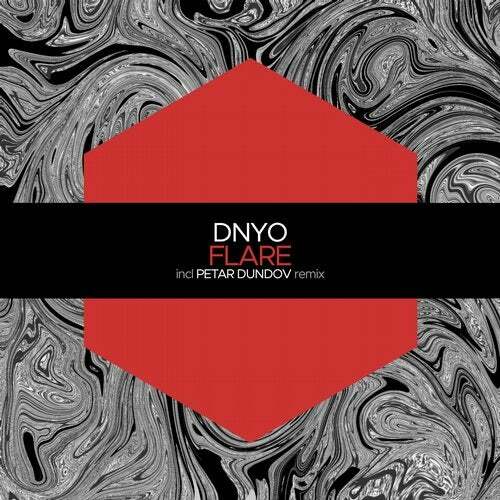 He now joins our Indian imprint with a signature 'Petar Dundov' remix of DNYO's "Flare", taking all the memorable elements from the original and infusing it with an added arpeggiated melody, gated riffs, complimenting soaring leads and a bouncy fresh groove to top it off, all to make "Flare" his own.